Utility rates in St. Helens increased effective Feb. 1. 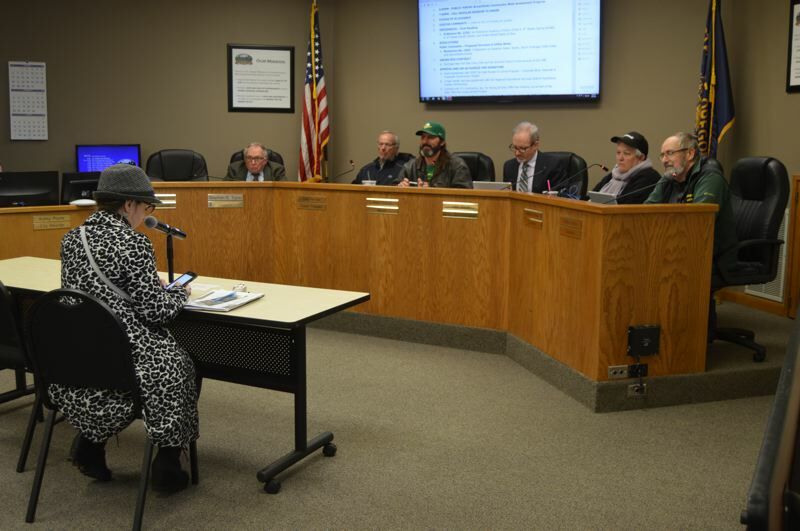 The St. Helens City Council unanimously passed a resolution Wednesday, Feb. 6, to increase city utility rates for 2019. The rates have been bumped up 2 percent for water and sewer fees, and 3.5 percent for storm water rates. "Utility rates" collectively refer to the rates city users pay for water, sewer and storm water. All of the fees are encapsulated in one monthly utility bill. During Wednesday's council meeting, two people, including William Stroup of St. Helens, commented on the rate increases. Stroup explained that continued rate increases for utility bills are getting harder and harder for people to pay, especially those on fixed incomes. "I understand the city needs money and we're limited on taxes, but I also understand affordability," he said. Stroup owns rental properties and eventually had to stop paying for his tenants' water use because he couldn't afford to do so anymore, he said. "I'm hoping this will be the last one for a while because we just can't afford it," he added. Last month, the St. Helens City Council held several discussions about adjusting utility rates to keep pace with changes in economic indicators, including the consumer price index. Initially, Finance Director Matt Brown recommended the City Council consider raising rates by 3.5 percent across the board, a figure based on changes in CPI for the year. After discussion with the council in early January, he proposed adjusting rates by varying amounts across each of the funds, although overall users' bills would increase. Mayor Rick Scholl and the council were in favor of the incremental option and proposed the rate changes to retroactively be effective starting in February. Scholl used his own water bill for a family of four as an example during the January meeting and explained that raising rates by 2 percent for water and sewer and 3.5 percent for storm water, his monthly bill would increase by about $5.